Easy & Automatic 5-Star Reviews. Find out how review camp’s software legitimately supercharges your online reviews & helps you win more business. Who is leaving reviews - good vs. bad? Of people who have a bad experience, 35% will leave negative reviews. Of those that had a good experience, only 23% will leave a positive review. The odds are already stacked against you! With review camp, you can put the odds in your favor and have the online reputation you actually deserve. Nearly 9 out of 10 consumers trust online reviews as much as personal recommendations from real people! How do negative reviews affect me? A whopping 80% of consumers have changed their mind about purchases based on negative information they found online about a business. Every negative review is lost revenue! 95% of unhappy customers will return if an issue is resolved quickly & efficiently. With review camp, you can do just that: prevent negative reviews from happening & get a chance to win back unhappy customers. Finally! But does it make dollars & cents? We thought you’d never ask! Studies have proven that an increase of one full star can increase revenues by 5%-9%. That makes investing in review camp a no brainer. Are you currently spending on Advertising? Think about this: People do research before buying from a company. Specifically, they look at reviews. So it makes sense that any other advertising you do, such as pay-per-click, SEO, direct mail, mass media, etc etc – will yield more customers & have a higher return if your internet reviews are more numerous & better. We firmly believe review camp should be the base of any advertising budget. Getting great reviews is as easy as 1-2-3! Use our tailored process and your customized cards & script or email to ask for feedback from your customers. 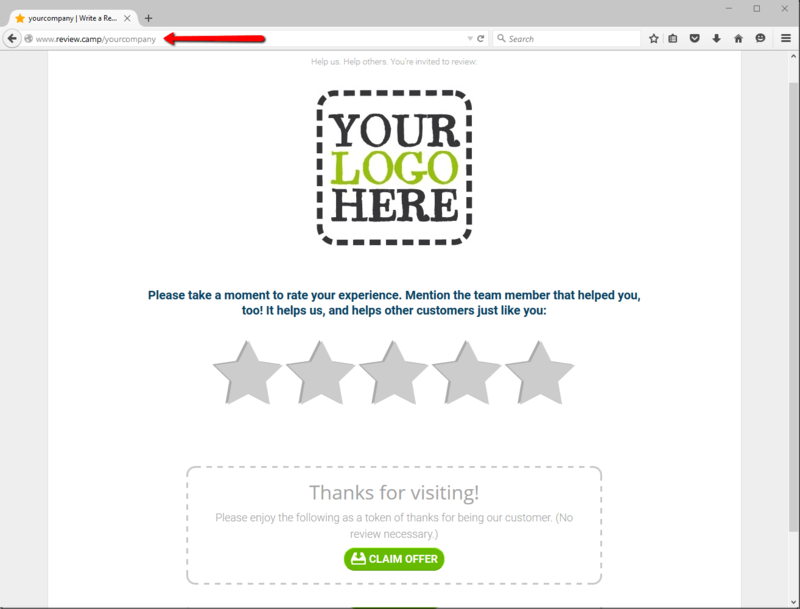 If you’re rated highly, customers are asked to review you on any of your choice of sites. If they rate poorly, they can send feebdack – preventing bad reviews! Facebook, Yelp, BBB & Google+, etc will rank in search engine results when someone researches your company, showing your overall rating. The added benefit: immediate trust with the customer. 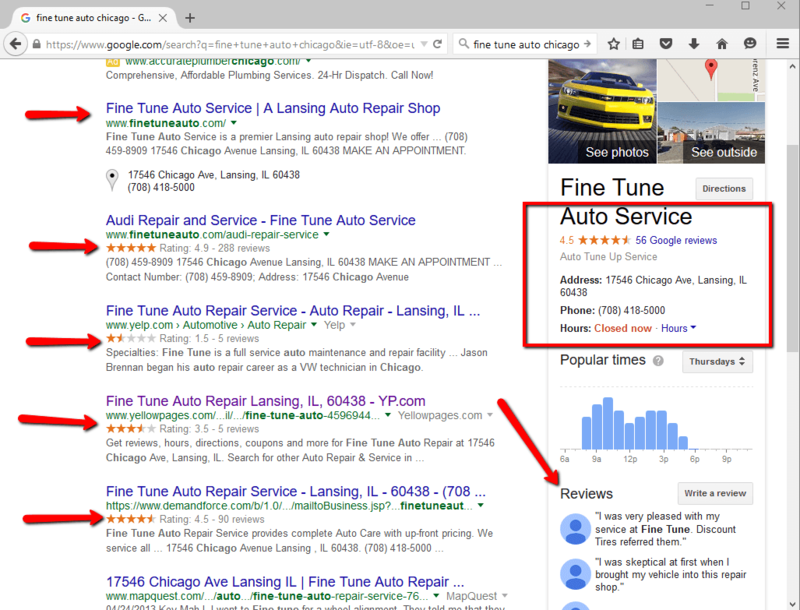 Plus, more reviews on major sites will help with your search engine rankings. Receive automated reports or on-the-fly reports to quantify your aggregate review ratings across the web, and on different sites. See how many new reviews you’re getting, and from where. Get instant emails every time someone leaves a new review or feedback through your review funnel. Embed your review funnel on your site, or stream live 4 & 5 star reviews to your website for added trust-building. 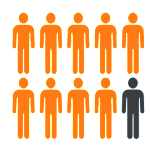 This has been shown to increase website conversions significantly. Our software looks great on any device, so you can encourage more reviews – even right from your customer’s phone! Link to your social media profiles on your review funnel to encourage customers to connect to you. Post good reviews directly to your social media outlets for all your (potential) customers to see! When a customer rates you lower than what you want, they get a chance to vent & provide feedback through an email form, allowing you to prevent negative reviews! Sign up for multiple locations or business units, and track each individual unit separately, all from one interface. Customers can “vent” through your review funnel if they had a negative experience before posting bad reviews. Now you’ve gained visibility into what is causing customer service issues, and you can improve! We work with you to create a customized offer for review camp cards and on your review funnel that will not only encourage feedback & reviews, but will increase repeat business, too. 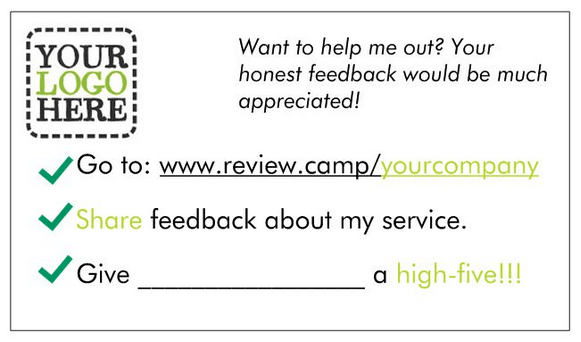 Your subscription comes with your company-branded review camp cards to give to customers, specifically designed to maximize the number of reviews you will get. Get a full, personalized tour of review camp. See what you’ve been missing! We’re proud to do business with them! Review Camp is great. Since I started using it, I've increased my total review rating across the internet by one full star. Plus, it's also helped create some repeat business already. Review Camp is what moved the needle for us. It's been a challenge over the years asking for reviews, but this gives you a way to ask without being intrusive. I love having visibility into my online reputation with the reports, too. Sign up for one of our affordable plans and start seeing the needle move on your online reputation. What are you waiting for? !